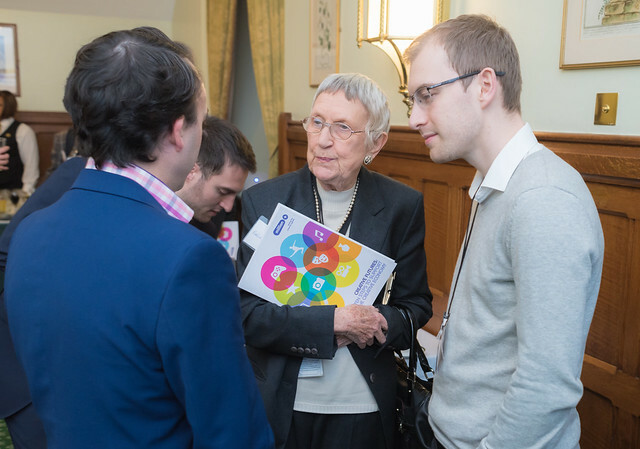 MPs, students, university leaders and representatives from the creative industries attended the launch of the latest million+ report, Creative Futures: Ten Steps to Support the Creative Economy on 23 November in the House of Commons. Chris White MP, a member of the Business, Innovation and Skills Select Committee, hosted the event and in his introductory comments welcomed the report for raising many of the issues that feature in the work of the Committee, which is committed to ensuring that the government implements policies that encourage, promote and incentivise businesses to support economic growth, particular the small and medium enterprises that make up much to the creative economy. Also speaking at the event was Julie Elliott MP, a member of the Culture Media and Sport Select Committee. She was keen to emphasise the importance of joined up thinking in government so that the departments responsible for education, business, culture and foreign affairs adopt coordinated approaches to promoting creative subjects and industries. She noted particularly that, as an MP in the north east, she had seen for herself the significant positive impact the creative economy has had on economic growth and regeneration. Shirley Atkinson, Vice-Chancellor of the University of Sunderland, and member of the million+ Executive, highlighted the strength of the creative industries in her speech. The creative economy is worth nearly £80bn annually to the UK economy and accounts for 2.8 million jobs – 8.8% of all jobs in the UK. The creative economy employs a much higher percentage (62%) of graduates than the economy as a whole. Around 70% of these graduates have been educated at modern universities which also account for half of all postgraduates working in the creative economy. She explained how modern universities like Sunderland have been at the heart of supporting the UK’s vibrant and ever-evolving creative industries. Supporting the creative industries and the universities which supply talented graduates is a winner not only for regions like the North East but for the UK as a whole. In order to showcase skills and knowledge being developed through universities million+ commissioned Ellis Vaughan-Prosser, a student at Southampton Solent University and a member of the Solent Creatives enterprise to create a presentation which emphasised the key message from the report that whilst the creative economy is strong, vibrant and resilient there was no room for complacency. Universities have proved to be innovative in responding to new and emerging creative markets but there are concerns that creative subjects are being neglected in school performance measures and that there is a lack of investment and support for research and entrepreneurial activity linked to the creative industries. The presentation can be viewed below. Creative futures sets out ten steps government should take to secure Britain’s future reputation for excellence and innovation in the creative industries.